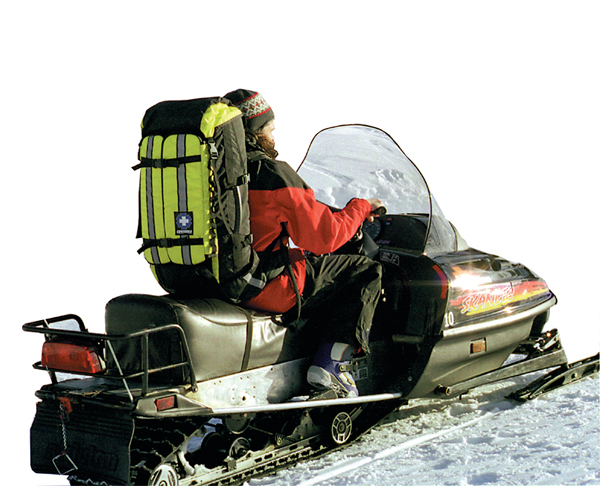 The ALS Extreme Pack from Conterra is a truly unique animal.It is designed to meet the needs of EMTs and Paramedics who perform in severe environments such as skiing, rappelling, riding snowmobiles, or helitack insertions.The ALS Extreme sports six zippered compartments, including a removable top pocket, a fold away suspension system, and is built entirely from cordura and high count Ballistic nylon. It has ultra strong side handles, wand tunnels, and a hydration bladder sleeve. The body of the pack is very narrow to allow a full range of movement when on the rescuerÎês back. The main pocket zips open via huge #10 coil zippers to reveal a large compartment, completely lined with hook and loop compatible fabric (which will accept any of our MOS organizers) twin movable dividers, and a flap sporting two medium organizer pockets (you can add more).